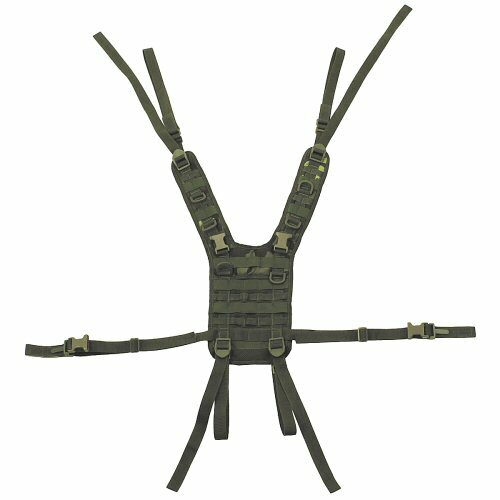 Genuine Czech military webbing yoke for the MNS 2000 system in ballistic Polyester/Polyamid blend with six point attachment to the webbing belt for distributing the load over the body. 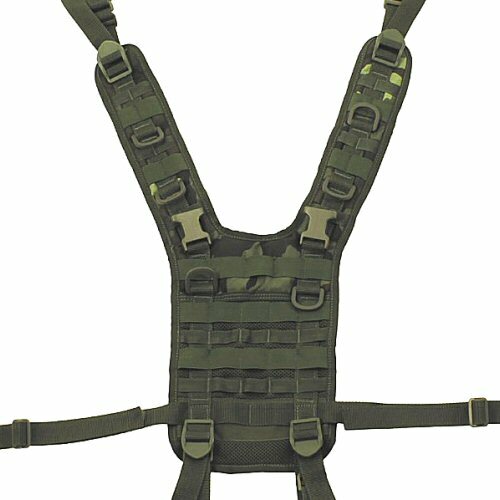 The shoulder harness or yoke has fully enclosed padding over upper back and shoulders, and a mesh back for reduced weight and heat buildup. The yoke features: multiple points for convenient load carry, including over the shoulder D-rings for threading comms and hydration leads; upper back D-ring on left and right, together with 25mm wide quick release buckle for quick attachment of a haversack (not included). 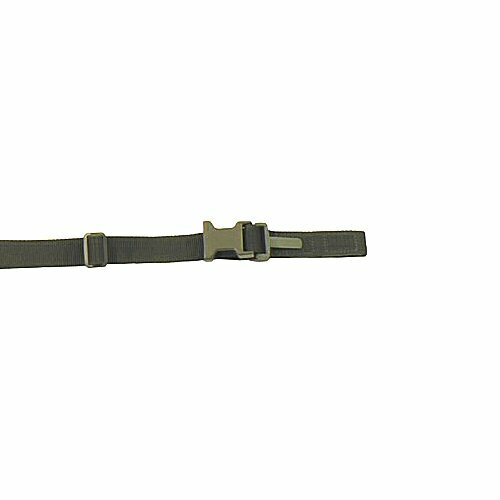 The straps are designed to be threaded through points on the belt and doubled back over on themselves before being threaded on to ladderlock sliders located on the yoke. This is also the same system used on the British PLCE yoke. 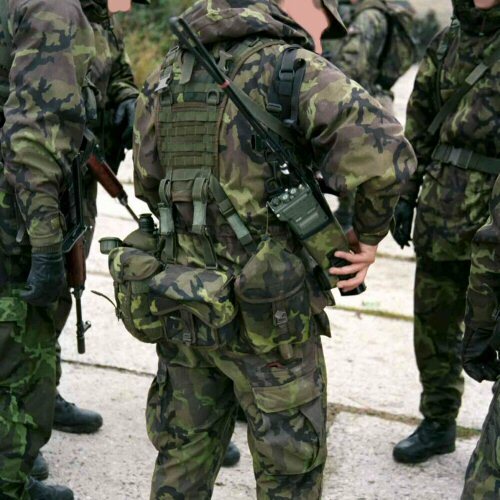 The yoke also comes with loops sewn down like MOLLE loops on the shoulders and upper back, some of which are made from twill tape and others made from elastic for retaining comms wiring and leads. The load bearing straps of the yoke are continuous over the shoulder, so that strength is not compromised. The elastic strapping is not load carrying. Elastic may be perished due to heat, sun or sweat exposure from prior use. In this case, it is recommended that the strapping be cut away. Strongly built, sturdy component of any load carrying system. A closer view of the shoulder and upper back section of the yoke. The yoke comes with detachable belt loops that open fully and include a retaining T-Bar to prevent riding from side to side on a PLCE belt.